Hi, about the meaning of Zoso I said, now a little bit about the name Led Zepp. What is the meaning of the band name? Ok, what is officially all know. But I'm curious what you think about my translation of the name of the band. Given the similarity zeppelin to the grid globe as a starting point for further consideration, it will be understood Page's suggestion that this was no ordinary blimp and blimp in the fire - Zeppelin, because it is this and not another airship was a symbol of the planet Earth at the time of birth (Hadean) - at a time when the entire surface covered with one big shell fire - lava. In summary, I think that the cover of the first album of the band symbolizes the first step of forming a shell of our planet (Hadean) - the first stage of the formation of life in general. There's no symbolic secret behind the origin. The name was based on a joke made by Keith Moon or John Entwistle of The Who. When they were recording "Beck's Bolero" with Jimmy Page, John Paul Jones, and Jeff Beck, they talked about forming a band, and Moon or Entwistle said such an idea would go down like a "lead zeppelin," aka a "lead balloon" - in other words it would be a disaster. So when Page hooked up with Jones, Plant, and Bonham, they decided to call it Lead Zeppelin, but changed the first word to Led, to avoid people mispronouncing it as "leed" (as in leader). You're reading waaaay too much into it. There is no obscure and arcane hidden meaning, other than the bizarre workings of Keith Moon's brain which is the generally accepted source of the name. "That'll go down like a lead balloon"... "balloon" became "zeppelin" and "lead" became "led" so that people wouldn't mispronounce it so it sounded like "lead". 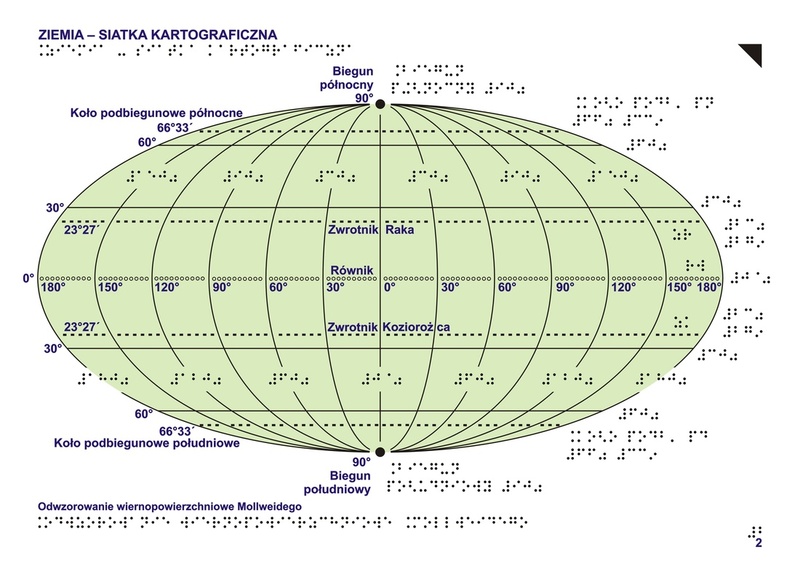 Many thanks,I have now seen the light.Just the one question though,at the intersection of Zwrotnik Kozlorozca and Biegun poludniowy the image has it as 30. and 90. and I make it to be closer to 66.33 which is Kolo podbiegunowe poludniowe? Also,some clarification on Odwzorowanie wiernopowierzchniowe Mollweidego and the dots that appear underneath it thanks? Could someone send Gregor a copy of the Codex Seraphinianus please? Your sense of humor is very specific. Little funny. As for the name of the band, it is well known what his official etymology. However, it is an official translation. Next to this there is another, much more important. 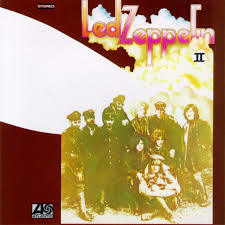 The second album by Led Zepp is a continuation of a previous plan. 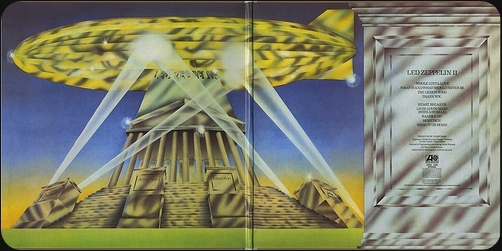 As in the case of illustration from the first album, on the second disc blimp outline its shape symbolizes our planet. Note that this is only the white color contour airship, which in its purpose whatsoever refers to the atmosphere - gas solution which surrounded the Earth, which is the most important factor in maintaining life. Through photosynthesis, under an atmosphere of primitive forms of life could spread in the water first and then come to the surface. It is this process of creating new forms of life and the spreading code for each person in the picture. German airmen, which is the majority, it is a basic step in the formation of life - water, while the figure of Miles Davis, girlfriend of Andy Warhol and astronaut Neil Armstrong encode the various stages of the development of life, which I mentioned above. And this is the meaning of illustration the second album. And what about the second illustration inside cover? Very easy to deduce that it can be about anything to what we already know about the destruction of the dinosaurs, so there might be and develop mammals. The colors and texture of a giant airship are intended to describe the situation on the surface of the Earth about 65 million years ago, when the entire surface covered thick clouds of dust, resulting in inhibition of photosynthesis for a long time. 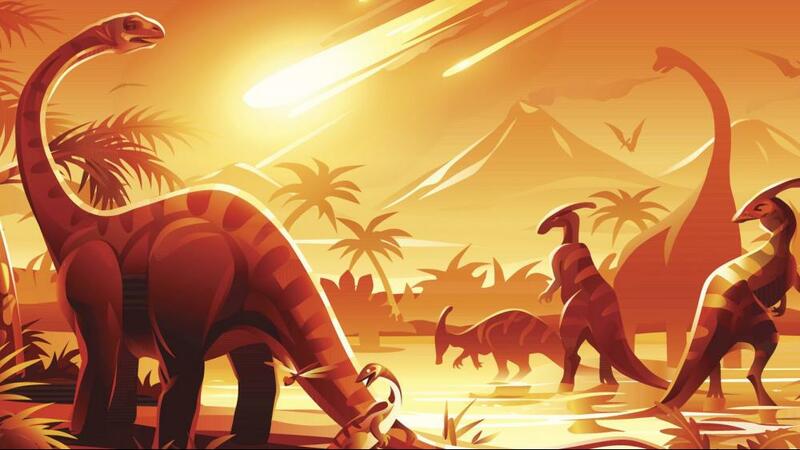 Shafts of light refer to the streaks of light created during impaktu meteorite, as well as the secondary formed firestorm, which finished the work of destruction. It's a record. That's it. The picture on the front wasn't even commissioned by the band. Somebody did it, showed it to them and they though "hey that looks cool". If you wanted to symbolise photosynthesis, perhaps green - the colour of chlorophyll, which is what you need for photosynthesis - might have been a better colour to choose over brown. 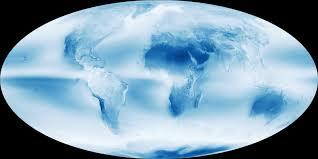 The atmosphere is generally depicted, symbolically that is, as blue - not white - and certainly not blimp-shaped. Neil Armstrong, Miles Davis and "the girlfriend of Andy Warhol" are not amongst the people depicted on the cover. The people depicted are: JP, JPJ, RP, JB, Peter Grant, Richard Cole, Blind Wille Johnson, Glynis Johns (a play on the name Glyn Johns, who was engineer for the album), Frank Borman (it was suppoed to be Neil Armstrong, but the artist got the wrong guy...), and one of the original members of the Jagdstaffel 11 who's had a beard and moustache drawn on! The album sleeve design was from a poster by David Juniper, who was simply told by the band to come up with an interesting idea. Juniper was a fellow student of Page's at Sutton Art College in Surrey. His design was based on a photograph of the Jagdstaffel Division of the German Air Force during World War I, the famed Flying Circus led by the Red Baron.After the picture was tinted, the faces of the four members of the band were airbrushed on from a 1969 publicity photograph. Other faces added, according to Juniper, were either Miles Davis or Blind Willie Johnson, a friend of Andy Warhol (possiblyMary Woronov) and astronaut Neil Armstrong, although it is actually fellow astronaut Frank Borman. I do not know where you got that information on the persons shown on the cover - the source said. What does not change the fact that the symbolic understanding of the meaning of the illustration. You can't believe everything you read on Wiki. 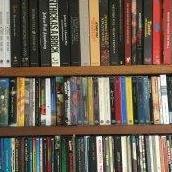 In fact, don't believe anything you read on Wiki until you've found another 3 or 4 sources that back up what it says. It's incredibly unreliable. Although if you actually read the wiki article it confirms Blind Willie Johnson and Frank Borman. I would surmise from your more than slightly bizarre grammar that English is not your first language? If you do some further reading (in these forums for example, which are filled with real people who actually know real stuff about the band, based on verifiable fact and first hand information, rather than the wild vagaries of a rather wild imagination) you'll find more accurate information. The 'symbolic understanding of the meaning of the illustration' is quite simply your own opinion which doesn't appear to have any basis in reality, sense or available and verifiable facts. It is in fact entirely groundless supposition based on your idea (and I'm extrapolating a little here..,) that there is probably arcane and hidden meaning in everything that the band produced. Whilst that may be true of Jimmy's Zoso symbol, that's pretty much as far as it goes. Furthermore.... your original post was about 'the true meaning of the name Led Zeppelin'. 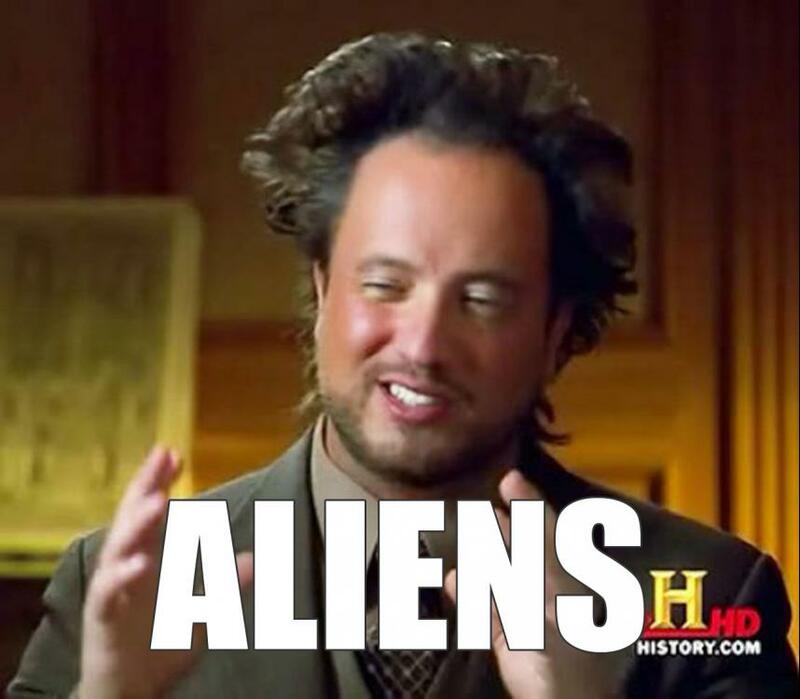 How are dinosaurs, primordial life, lava and German airmen being water and the basis of life (??? - this is seriously bonkers dude) related to the 'true meaning' of the name of the band. If anything you've posted made even a glimmer of sense or appeared at all rational it would still make funny reading. Instead it sounds like someone who took far too much acid trying to explain a deep philosophical epiphany whilst still tripping their brains out - in that it makes absolutely no sense at all. As long as my knowledge goes the planet earth is round, not elliptical. Now play the whole album backwards at 16 RPM (instead of forward), and you will indeed hear the sounds of dinosaur language. The whole RPM thingy is hinted at by Robert Plant's Middle position in the picture. An oblate spheroid still isn't Zeppelin shaped. Zeppelins are cigar shaped. Your e accuracy of this case is as accurate as your knowledge. Your logic comes close to a cigar shaped planet, it makes no sense. C'mon now,everyone knows the Earth is flat, I watched a video on't interweb so it must be true. at a very very early age. Mike Millard special - his L A '77 stuff is great!! justice. Then there are songs the band wasn't able to perform on stage and that's where studio version have me covered. Do you have a favourite member? For me it's Jimmy. The End! Were you able to see Led Zeppelin live? Sighh I wish. I was 4 when Bonham died in 1980. Do you collect any Zeppelin memorabilia/records? I don't. I know a lot of people in the fandom that do. That's awesome. Zeppelin and their 4 symbols, the other 2 have a certain band member on it. Haha guess who? Sorry Gregor for messing up your original topic! When did you get into Led Zeppelin? : At the 13th spoon bending championship rally in Ulaan Batoor. Do you have a fav studio album? : Greatest hits is the best, since it contains their greatest hits. Do you enjoy bootleg recordings? : As long as they are really scratchy. Do you like studio or live? : I like ice cream and origami. Do you have a favourite member? : David Coverdale of course. Were you able to see Led Zeppelin live? : I saw them perform live in my microwave during my latest mushroom trip. Do you collect any Zeppelin memorabilia/records? : I collect Zeppelin shaped cookies to eat when I'm stoned....they are awesome. I wish you well understand me - with all due respect I approach your "actually know the real stuff about the band, based on verifiable facts and first hand information", and that everything I write is just my conjecture, but in any case they are not groundless - what I'm trying to prove. Regards. Thanks for soooo nice post. I will gladly answer your questions, but not at the moment. I prepare even a special surprise for you, also for all fans of Led Zepp. My English is very imperfect, but perhaps understandable (google translate). Regards. Życzę dobrze mnie zrozumieć - z całym szacunkiem podchodzę do swojego "faktycznie zna prawdziwej rzeczy o zespole, na podstawie weryfikowalnych faktów i informacji z pierwszej ręki", i że wszystko, co piszę jest tylko moje przypuszczenie, ale w każdym przypadku są one nie bezpodstawne - co próbuję udowodnić. Pozdrowienia. Ok - so you're using Google translate to go from Polish (?) to English. That's so helpful, because Google translate really works well with grammar and stuff. Making stuff up because that's what you think does not make it fact, and never will. The way to do these things is to start from an idea and see if any facts fit your idea. There are no facts that fit your idea - you're making stuff up and then extrapolating on the stuff that you made up. This means that your idea is Wrong. The whole 'Zoso' sigil was based upon Jimmy Pages interest in astrology and the occult, and some of the more obscure texts that have been written on those subjects. That means it was based on existing information which could then, with a bit of background reading, be discovered and surmised upon. Your idea is based on.... I don't know what? An interest in Dinosaurs? Perhaps you thought that because there was a bit of obscure occultism/mythology that could be related to one band member, then everything about the band must be filled with hidden meaning and there must be knowledge of the arcana to be gleaned from analysis of their album art? None of what you say makes any sense. The fact that a 2 dimensional representation of an airship slightly resembles the 2 dimensional representation of an oblate spheroid is one of those amazing things called coincidence. Add the 3rd dimension and all that you can say is that both shapes are based around the geometry of circles, and you can say that about a hell of a lot of stuff in this world without it having a hidden meaning. You're welcome! Take your time! Your English is fine! !